The building is fully “energy modeled” to reduce thermal energy requirements. Virtually Air tight and super insulated, with ERV (Energy Recovery Ventilation) resulting in an extremely quiet and healthy indoor environment. 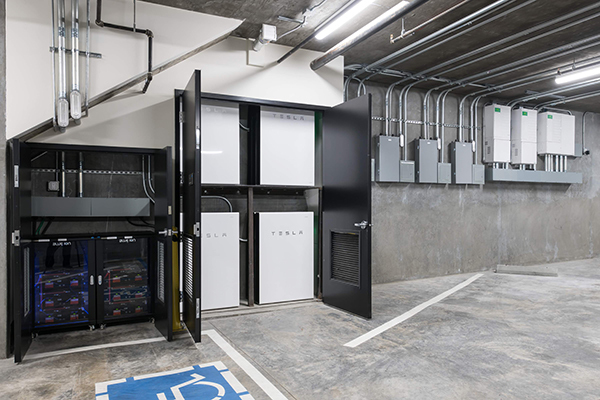 Three Tesla Powerwalls for each unit store 2 to 3 days of energy, and they are recharged daily by the PV over the roof deck. This provides the “Resilience” element of the building. 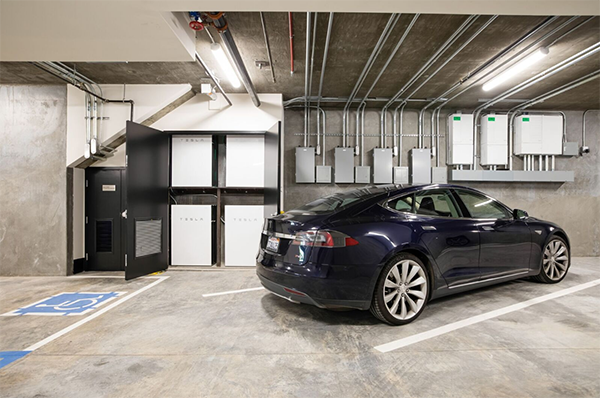 System Integration and design by Off The Grid Design creates a synergy of MEP (Mechanical, Electrical, and Plumbing) systems that reduce overall energy use and allow each unit to generate up to twice as much energy as is required for daily functions. This allows excess energy generation for revenue, or for Electric Vehicle charging. LG Mini Split "Air Source Heat Humps"
CREATIVE THINKING. BOLD VISION. IMPECCABLE EXECUTION. Sol-Lux Alpha is the pinnacle of ultra energy efficient design, making each of these very special residences the ultimate in sustainable luxury living. Architectural Design by RG Architecture, whose philosophy is that great design in the result of pragmatic problem solving, creative thinking, and a bold vision. Their philosophy certainly paid off with the impeccable execution of Sol-Lux Alpha. These exquisitely designed full-floor condominium residences are serviced by a controlled access elevator opening directly into the home’s foyer leading into the main open living area, which includes the kitchen, living room, and dining area. These light filled rooms provide a wonderful opportunity for lavish entertainment, family gatherings, and intimate engagements. The bedrooms all flow off of the main hallway – ending with the well-sized master suite, which includes two expansive walk-in closets and a luxurious master bathroom for the ultimate spa-like experience. 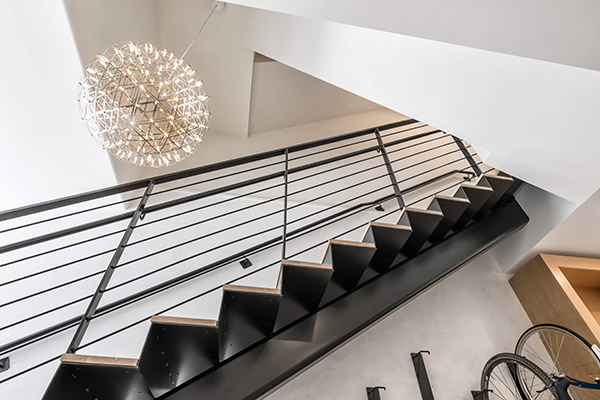 All homes enjoy the benefit of a common landscaped rooftop deck with breathtaking Southern views and an outdoor kitchen, one car parking, common entry lobby including mailbox, bicycle racks, and a custom entry seating. A focused attention to every detail was instituted in the selection of each room. 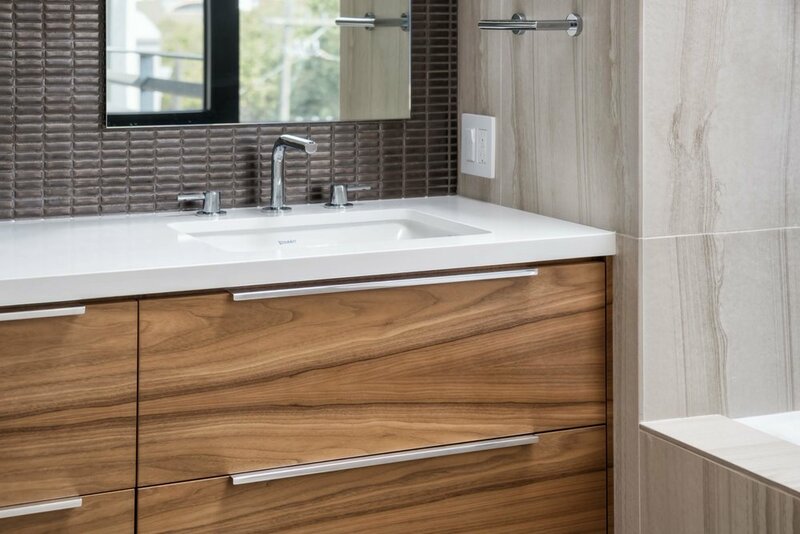 Thoughtfully sourced materials were hand-selected to promote healthy living and to provide sustainable alternatives without compromising comfort. The level of detail and the quality of materials make these four fabulous single level residences timeless and enduring.